Installing a Dynakitparts 10K Mil Spec bias pot. 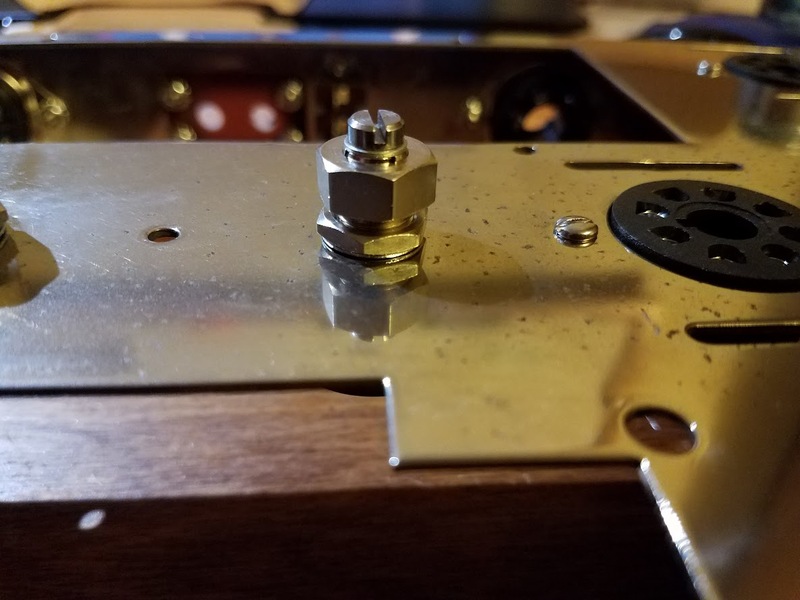 Not sure if the lock washer should be on top or below the chassis? As long as it is secure, it does not matter. However, traditionally the cap-nut is on top, the lock nut underneath for the pot to be as low as possible. At the same time, the lock-nut allows one to adjust the height if there are clearance issues below, or access issues above. Those are nice bias pots. Installation is correct.....The purpose of the larger top hex nut is to lock the position of the shaft so that it cannot rotate. After setting your bias I would just hand tighten this top nut. Very unlikely the shaft is going to turn by itself unless you have children who like to touch stuff.